Gillian Bevan is a stage and television actor who is recognised for her roles in Teachers as the Headmistress and Holby City. 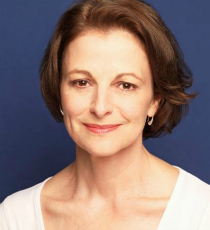 Her musical theatre credits include playing Mrs Wilkinson in Billy Elliott the West End and Witch in Into the Woods. Gillian most recently played the role of Cymbeline in the RSC’s production at the Barbican. Her recent TV credits include Father Brown and The Windsors.